Now that most Mac users have migrated their pictures from iPhoto to Photos app in Mac OS X, when you’re absolutely certain that all the pictures have come through successfully you may decide to delete the old iPhoto Library file on the Mac. This is usually not necessary due to how Photos importation works with iPhoto Library files, but some users with unique situations decide to do it anyway, typically if they are self managing picture files outside of the original library containers, or if they want to keep things tidy and ditch all remnants of iPhoto. Removing the iPhoto Library package can help to free up disk space in some situations (but not always, more on that in a moment) but before doing this you need to be absolutely 100% certain that your pictures, photos, and videos have successfully migrated over to the Photos app and stored in the new photos library, that you have a fresh backup made of your pictures, and that you actually need to delete the original iPhoto Library package. Wait, is iPhoto Library really taking up space? Do I need to delete iPhoto Library? “When you migrate a photo library from iPhoto or Aperture, the Photos app creates a new library structure but doesn’t duplicate your images. Instead, Photos saves disk space by creating links to the original and preview versions of your images. When Finder reports the file size of your Photos library, it includes all your originals and previews. It may look like your remaining iPhoto or Aperture library is taking up twice the space on your hard drive, but it isn’t—your images exist only in one location, even though you may have more than one photo library. After you migrate your iPhoto or Aperture library to Photos, you might feel tempted to delete your original iPhoto or Aperture library. Because the migrated library takes little additional space, you don’t need to delete the original library. That last part is critical, in these type of migrations you don’t actually need to delete iPhoto Library because it’s not taking up any significant disk space. If this is clear as mud, then a simple way to think about it is that everything is simply hard linked, it is not a duplicate, thus when you use a disk space analyzer app and it points to the library as taking up space, it may not actually being using any additional storage. If any of this sounds confusing it’s probably because it does not apply to you, and therefore you should not delete the iPhoto files. Nonetheless there are some other situations involving manual photo and picture management that can benefit from removing the original iPhoto Library. Maybe you made a duplicate of the library before importing it, maybe you have the libraries on external drives rather than the internal disk, maybe you manually manage pictures in Finder after pulling them out of the original library package files, there are a variety of more complex circumstances where this is applicable. This does not apply to most users, however, and if you migrated an existing iPhoto library rather than a picture file folder, there is no benefit to deleting anything. You need to back up the iPhoto Library package before attempting to remove it. If you do not backup the file and you remove it and then discover your pictures and photos have been deleted, you will not be able to get them back. Do this with Time Machine, or by manually copying it to an external hard drive yourself. Do not skip backing up before deleting any photo libraries or files. You can setup Time Machine backups if you have not done so already, and start a backup manually and let it complete before going any further. If you are certain this is what you want to do, then you’ll find deleting the iPhoto Library is really the same as removing any other file on a Mac. Note that you’ll likely have at least two files in the Pictures folder “iPhoto Library.library” and “Photos Library.photosLibrary” – the former is from iPhoto app, the latter is for Photos app. You’ll want to visit the new Photos library after this to make sure all of your pictures are intact, or if you use manual file management, be sure the image files have maintained themselves now that you’ve removed the iPhoto Library package file. If you are missing anything, you’ll want to restore the iPhoto Library file you just deleted to get the images back. As you can see this is a simple task but has potentially perilous consequences. Pictures are some of the most important digital items that users can hold on a Mac (or elsewhere) so it is imperative that you have backups made and understand what you’re doing and why you’re doing it. Photos and iPhoto and ugh… this does not feel like Apple products. I have an old iPhoto Library that I imported, deleted the iPhoto Library file, then some of the pictures weren’t in Photos. I thought it imported them, but I guess not. Exactly the scenario you describe above, which tells me that even enthusiasts, experts like yourself, and Apple can’t figure out how to make sense of it. So, do yourself a favor and either don’t use the apps or don’t try to remove the library files because they don’t make a lot of sense. Confusing, double libraries, sometimes they are copies sometimes they are ‘links’ referencing other files, who knows for sure? You find out when you delete or move a file, then the “original” disappears and you can’t open it in Photos. You can fix that with https://sixcolors.com/post/2016/02/copy-files-back-into-a-photos-for-mac-library/ but if you deleted the file, it’s too late. How does Apple put this thing out? And by the way, why doesn’t iCloud store all of our photos, permanently? Like Flickr, but with file access? Why can’t we have that? That is exactly what it does when you turn on iCloud Photo Library. Problem 1: iCloud Photo Library is unreliable, you can find horror stories on the Apple support boards and elsewhere about peoples pictures gone missing, gone forever. Problem 2: What iCloud Photo Library does is store thumbnails on (all of) your devices and download high res pictures on demand when they are selected. That’s OK I guess, but if you delete a picture, video, or many pics/videos from your iPhone to free up space, it deletes them from iCloud too which is exactly NOT what anyone wants! You want a permanent backup of all of your pictures in the cloud that you can access at any time regardless of what is or isn’t on your iPhone or Mac. Problem 3: The other problem with iCloud Photo Library is that it requires constant ultra reliable ultra high speed internet. I’m on DSL as are millions of others in the Undeveloping States of America and we do not have a true broadband option nearby, not too far away people still use Satellite internet. If you are outside of a major US city, you do not have true broadband cable or broadband fiber access, much of the USA is still in the stone ages with internet access. In iOS 8 or later, tap Settings > iCloud > Photos. Then select Download and Keep Originals and import the photos to your computer. In OS X Yosemite v10.10.3 or later, open the Photos app. 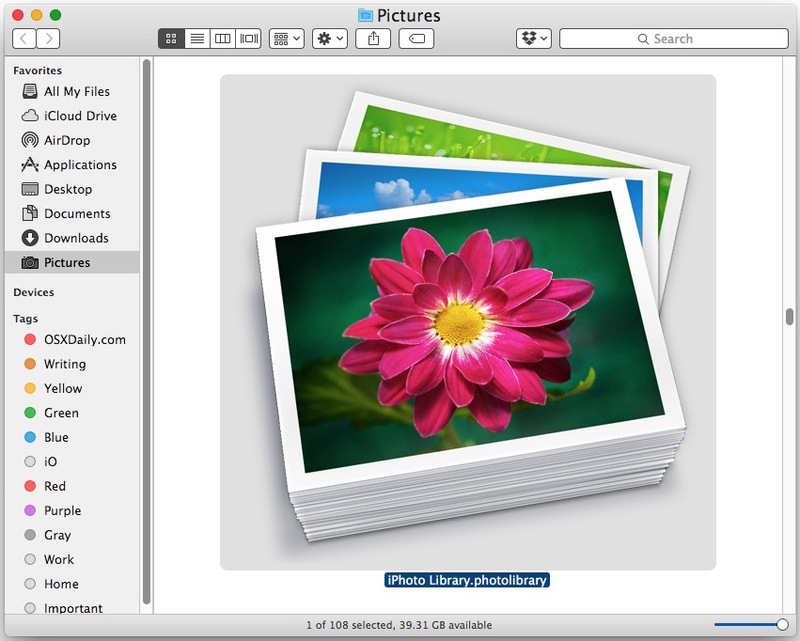 Choose Photos > Preferences, then select Download Originals to this Mac. If you want to download a few photos or videos, you can use iCloud.com to download the most recent version of photos and videos to your computer. In OS X, My Photo Stream photos are automatically imported to your Photos, iPhoto, or Aperture library, unless My Photo Stream and Automatic Import are turned off in the app’s preferences. If you enabled iCloud Photo Library, you can find your photos in the All Photos folder instead of My Photo Stream. In Photos, go to Photos > Preferences > iCloud. In iPhoto, go to iPhoto > Preferences > iCloud. In Aperture, go to Aperture > Preferences > iCloud. In Windows, My Photo Stream photos are automatically imported when My Photo Stream is turned on in iCloud for Windows. You can also use the steps below to manually copy your photos and videos. Any comments or likes attached to a shared photo aren’t saved, and photos and videos saved from shared albums aren’t full resolution. And, if you don’t have truly stellar first world internet with zero latency 100% reliable broadband internet access, it does not work at all. You will lose photos, you won’t be able to access them, you will destroy your data plan trying, etc. I live in medium sized American city and the internet service here is awful, using any cloud based solution is not an option because it’s so unreliable. Apple has their head in the sand in Cupertino and San Francisco where everyone has fiber or high speed cable, that is NOT most of America however. The USA has cruddier broadband access than any other developed nation. I dinghies photos or iPhoto, don’t use them and don’t want to. I like picture files. Easy and cross platform. I Dinghies? Is that a new Apple product? The iDinghie Pro? Does it work with iCloud Photo Library? iPhoto iDinghie Plus, sounds like a good product. I hate Photos. I like iPhoto. I hate the way Apple has been doing stuff, and I am an Apple user since my boss gave me a Macintosh back in 1984, I think it was. I never thought I would get tired of my wonderful APPLE. It’s disappointing to me. 1) Apple makes stellar hardware. I’ve got lots of it. Good stuff…! 3) “All Hail Dear Leader’s” lament posted here on May-21st, 2016, is spot on. I may write a blues tune to him for speaking what is also my experience. 5) My solution is NOT using iphoto or Apple photo or whatever they’re calling it now. Instead I use two automatic services: Amazon photo and Dropbox (formerly Carousel) running in parallel. They work independently and give me two separate archives from separate corporations. I no longer use Apple iCloud. 6) Would I like to see Apple move up from overly simplified children’s software and step into professional level applications? Do you think that likely to happen? Seriously? How do you like Amazon Prime Photo? I ignored it because it is java based and I don’t want to install java on the Mac, but maybe it’s worth a look for photo management. My beef with Photo is that the commannd File>Show in Finder is grayed out. I like to be able to access the file itself for various reasons and the absence of this command really pisses me off. iPhoto is better than Finder at organizing my photos, but just barely (IMHO). It’s sad that there’s not something better. Seems like most Application developers spend their time making them compatible with social media, rather then focus on the basic user interface. I do this with the Finder. I make folders for sets of pictures. Use Finder Tags for keywords as needed. Then I use Quick Look and Finder previews (or the cover flow view) to scan through pictures. One neat thing with Quick Look in a folder of pictures is to select them all, then enter Quick look with Spacebar, which shows thumbnails for each. Very low tech, but simpler and foolproof, and doesn’t require new apps, more memory resources, or the nagging and weirdness offered by Photos, iPhoto, etc. I agree with you about the interface issues, all efforts seem to be ‘share this on facebook’ which does not apply to me with 99.9995% of pictures. Since at iPhoto -> Photos “upgrade”, the iPhoto files are hard linked to Photos files so then if you delete files from Photos, they are not deleted from disk until they are deleted from iPhotos aswell. So you should delete the iPhoto Library. Just go ahead and delete the old iPhotos library. It’s true that the photos don’t take up extra room due to them being links, but the meta-files (database, thumbnails, etc.) do. Getting rid of those saved me 70Gb.